Oakland, CA – Sudo Mesh, a small nonprofit dedicated to equitable Internet access and education, has received a $100,000 donation from the Handshake Foundation. This award will enable them to distribute donated bandwidth and dramatically expand their free wireless network, People’s Open, across Oakland and the Bay Area. Project members are currently building links to donated multi-gigabit bandwidth, with the goal to distribute it freely across Oakland and the East Bay. Those who connect to the network are not customers, but rather, community members. Each home or business that is linked to the network becomes a free and open wireless hotspot. Using common, off-the-shelf hardware and Sudo Mesh’s open source software, small groups of people can utilize existing bandwidth to share their internet connections and cover public and underserved areas. In this same spirit of radical gifting, Sudo Mesh has decided to allocate 10% of the funds to Sudo Room, the creative community hackerspace that provides space and resources for Sudo Mesh to store equipment and host open office hours every Sunday afternoon, and 30% of the funds to Omni Commons, the collective space in which Sudo Room resides and which also hosts Sudo Mesh’s weekly meetings and quarterly Build Your Own Internet (BYOI) events. Sudo Mesh is a non-profit organization founded in 2013, dedicated to providing educational and material support toward the creation of community-owned and -operated wireless telecommunications networks. 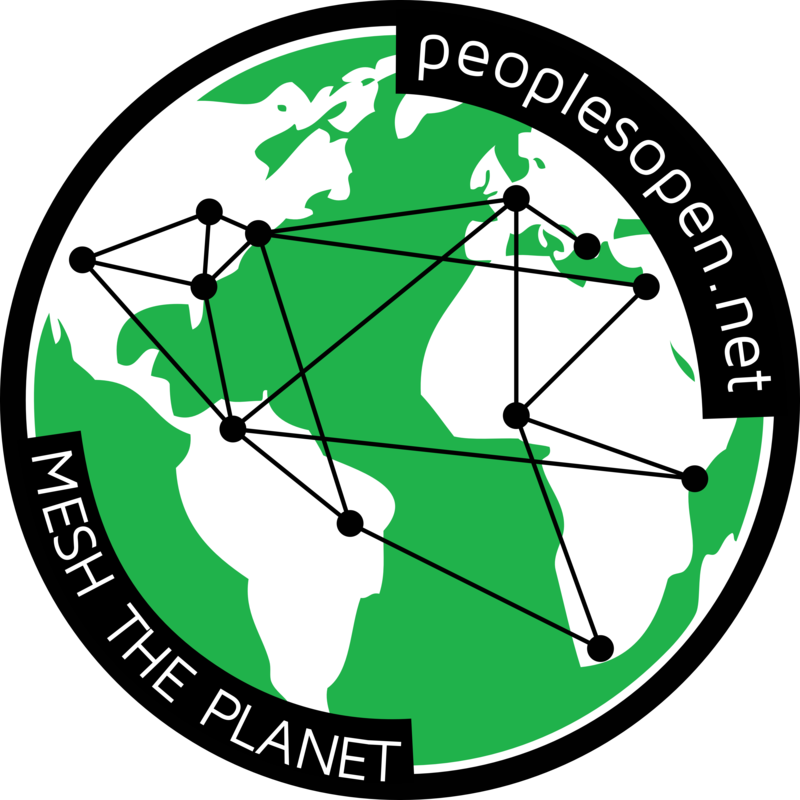 Sudo Mesh encompasses several projects, including: the People’s Open Network, empowering communities to build and operate their own wireless networks using open source software, off-the-shelf hardware, and open educational materials; and disaster.radio, a solar-powered, long-range mesh network built on free, open source software and affordable open hardware running low-bandwidth web apps that can be accessed by any WiFi-enabled device. Handshake.org is a decentralized, permissionless naming protocol compatible with DNS where every peer is validating and in charge of managing the root zone with the goal of creating an alternative to existing Certificate Authorities. Its purpose is not to replace the DNS protocol, but to replace the root zone file and the root servers with a public commons.